This very rarely happens. This morning, I was flipping through the August 1, 1969 issue of Vogue magazine for inspiration, and this ad stopped me cold. The ad is for a cotton velveteen coat with matching dress. 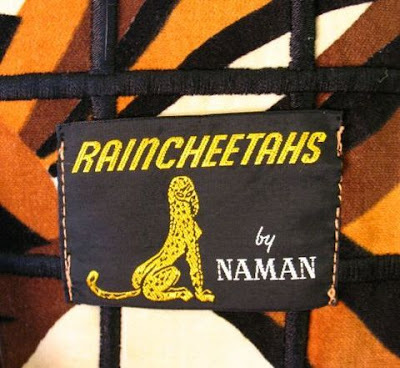 "Raincheetahs by Naman puts a fire under fashion. 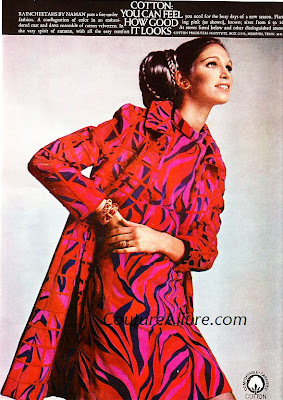 A conflagration of color in an embroidered coat and dress ensemble of cotton velveteen. In the very spirit of autum, with all the easy comfort you need for the busy days of a new season. Flaming pink, as shown, or brown." 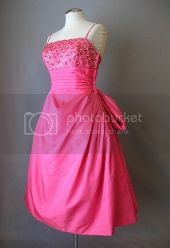 The set was sold at Lord & Taylor, Burdine's, Jacobson's, etc. The dress is of the plain fabric, and the coat is very distinctively embroidered with a grid in pink. Are you wondering why this ad stopped me cold? Look! I have the exact coat in brown for sale on my site! It didn't come with the matching dress, but that's OK. 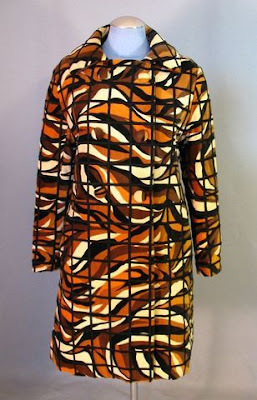 It is an incredibly well made and unique coat, and I'm very surprised it hasn't been snatched up yet. That means that it is still there for you, though. I'll include a scan of the ad with the coat for the lucky buyer. 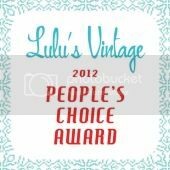 Really, how often do you find a vintage garment and then find the advertisement for that garment? In my case, this is just the second time in 10 years and thousands of garments. Now that's rare!